I went to my parent's house for a cookout with the family today. There were a few flavors that I have been thinking about that I wanted to try out and offered to make some salads. 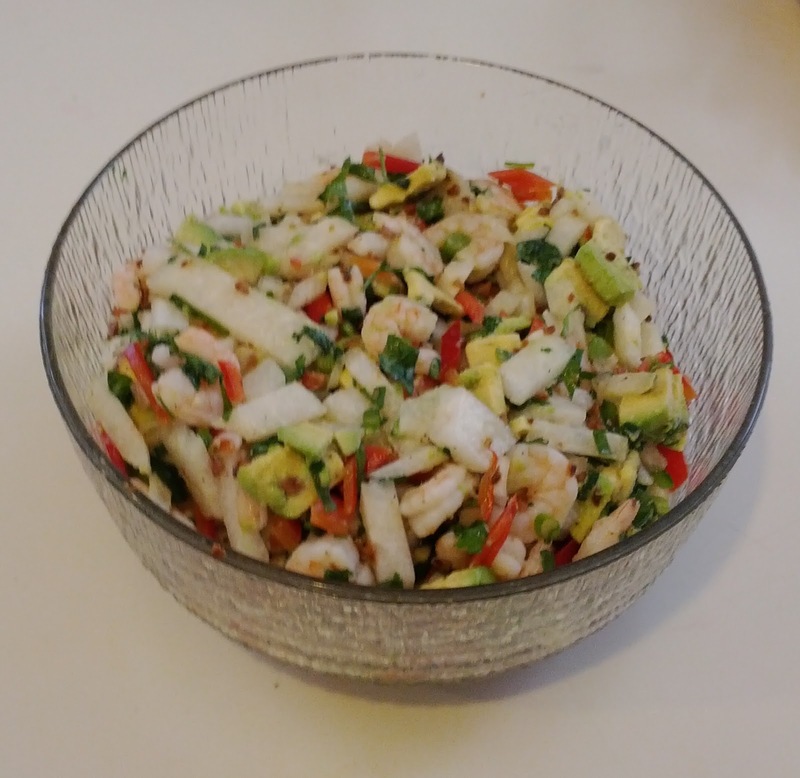 The first salad is kind of a take on a Vietnamese green papaya and shrimp salad. I wanted to incorporate some Mexican flavors, my thinking was that there are a lot of similar flavors that work well between the two cuisines. To prepare this I combined jicama, shrimp, red bell pepper and scallions which then I tossed in a sauce made from lime juice and agave nectar. I then added 8 cloves worth of toasted minced garlic for crunch and flavor. To finish I folded in some sliced avocado. Next I made a corn salad with flavors similar to an elote. 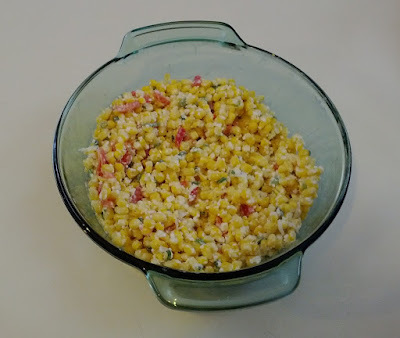 I first took sweet corn off the cob and blanched for a couple of minutes. After cooling I added red bell pepper and scallions and lime juice. To finish I stirred in a bit of mayonnaise and cotija cheese. 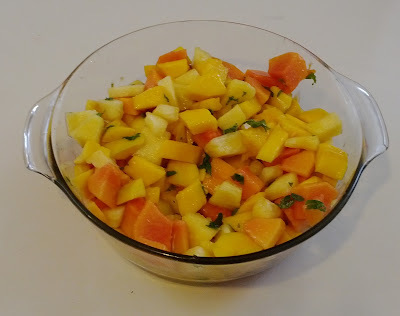 Finally I made a fruit salad with chopped mango, pineapple and papaya. I tossed this in a combination of lime juice and orange juice. To finished I mixed in some fresh mint. These were all good...can't wait to try them again...so, hurry up and make me some!